I got this email too. With the subject line I thought it was going to some sort of joke. The "X" of "Ys" isn't usually so literal. Oh and don't forget you need to for that one time you're never going off road. I was amused this weekend when I saw a commercial for a new Chevy Traverse.. it used to be a fairly small SUV and now is almost as big as the Tahoe. I guess people keep buying them so they keep building them bigger and more expensive. That's true for pretty much any long-running car model. Civics grew to the size of Accords, which in turn grew even larger, etc. Eventually they have to introduce a new entry-level model because the old established names have all moved up a level (or two) from where they started. Most modern "SUVs" (i.e. crossovers) are certainly useless. They are just slightly bigger cars. The original "SUV" (before they were slapped with that label) was actually a useful vehicle that was a decent compromise between all the qualities you list. Think 70s, 80s and early-mid 90s Jeep Cherokees, K-10 Blazers, S-10 Blazers, Broncos, early Explorers, etc. Ironically, despite the reputations, most all of the domestic offerings have become useless, and pretty much only Toyota makes a "real" SUV anymore. Even the "off road king" Jeep has a terrible design. More ironically, the sales of 4 door full size trucks (e.g. F-150 Super Crew) is an unintended consequence of all the regulation and "hate" put on those types of SUVs. Instead of an SUV with a mix of the qualities you mention and a mediocre fuel efficiency, folks that want that flexibility of purpose are more and more driven toward massive land yacht trucks with piss poor fuel efficiency. Yes, but the Traverse has only been around since 2009. The Civic has had an extra 3.5 decades to grow in size. That said, the Traverse hasn't actually gotten bigger. It has always seated 8 and the new one is actually slightly shorter and roughly the same weight as it was in 2009. Anyone watch top gear grand tour? In one of the recent episodes they were testing modern SUVs in Canada. One of the most surprising things to me was how quickly the 4wd/awd drive systems in them failed and went into limp mode. A perfect illustration of how pointless modern "SUVs" are. I did a double-take on Friday when a car passed me by that had "Jeep" on the hood, but had the form factor of a station wagon. When did Jeep start making something other than jeeps? I did see that episode. As a fan of that show (and the one before), I know they are ham-fisted and daft on purpose. But how bad those SUV's did while trying to tackle off-road driving was laughable. At one point, one of the hosts changes his SUV for a Ford F-150 Raptor just to make it thru the challenge. Hey OP, is that your real name in the image? I would scrub it if I were you. It still has what appears to be a full name under the picture of the clown car...though I get why you didn’t read that far. Don't ever take Grand Tour at face value. I love the show but it makes use of any tactic to keep the laughs rolling along. Automagic AWD. The ability to carry those same bulky packages. We can tow 5000 lbs. And, our passengers can ride along without feeling trapped by the row of seats in front of them. MUCH more comfortable than our sedan. We don't crawl up snowy Canadian mountains pulling boat trailers. We don't flog our family car though offroad obstacle courses. We have used it on mud and dirt roads. We have towed trailers and even entire second cars with it. We've forded creeks on camping trips. We also drive it occasionally 10-12 hours to family vacations at 75 mph with the a/c on, plenty of room for 6-7 people and still see 28 mpg. Our crossover is very much like a modern minivan as previously mentioned or the station wagons of my youth. And the fuel economy CAN be better than a minivan depending on which CUV you choose and how you choose to operate it. Our crossover gets better fuel economy than our old CUV and similar to a smallish sedan from 20 years ago - so I don't get the crossover rejection. Maybe it makes people feel better about their own vehicle of choice to beat down other people's choices? OH - just remembered - its the Antimustachian forum. I live out in the desert off a crappy bumpy dirt road that becomes a muddy mess in monsoon season, so I love my 4WD Jeep Liberty. *facepunch me* I don't think many other cars would last as long as it has driving the horrible road every day. When we moved here I had a Miata, but had to get rid of it for something more practical. (But the second we move somewhere with paved roads, I am getting another Miata, facepunches be damned!) I still miss that fun little car. Mine too. I agreed because I don't like driving and want him to do as much of it as possible. We recently (before my husband bought our SUV) drove to a relative's house in the dark along bumpy dirt roads in the mountains of Colorado in a Chevy Malibu. Doable? Sure. But I would likely feel more justified in having our SUV if we actually lived in a place like that. It would only be a matter of time before something happened and the Malibu ended up stuck or with something scraped off the undercarriage or something. Not necessary on our suburban cul-de-sac, however. Sunshine, you bought a vehicle to fit the requirements of your environment. No facepunches required. Only $75k, LOL. Even in my pre-MMM spendypants days I wouldn't have spent that kind of money on a car. But if you're going to drop that amount of cash, why not get a Tesla S instead. FYI, the newer F-150s get up to 26 MPG highway. Worse than many other cars on the road, but not terrible for what they can do. Better than Maserati Levante's 20 MPG highway. Some of the larger vehicles available on the used market can be had with hybrid drive putting them into the car-like MPG category aka around 30 mpg. Of course cars can be had that reach into the 40+ mpg range and that might be the right tool for some MMM folks. I'm done with 3500 rpm buzzy boxes for interstate travel. I've owned several and still love them but I have zero interest in doing this regularly. Still great for commuting. Thus we own a very used and aged buzzy box for low speed around town trips and something more substantial/comfortable for out of town trips. Yep, Ford has done a great job of improving efficiency, but I'd still call the 19-26 highway piss poor (at least for typical use case that SuperCrew F-150s are commonly bought for now, which isn't towing or hauling) =) Put the efficiency refinements that Ford has put into the F-150 (turbo engines, AL body, etc.) into a mid size SUV and you probably have a car that can get low to mid 30s on the highway, which I would call "mediocre". 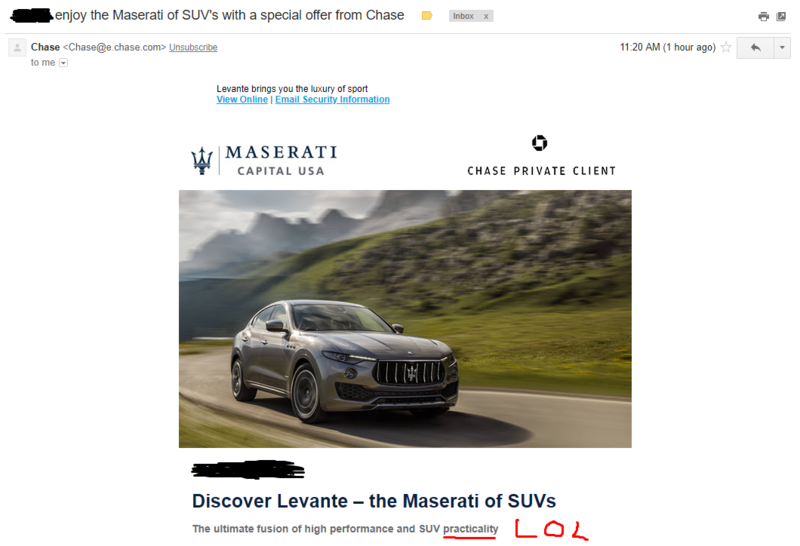 If it makes you feel better, I can't think of a single vehicle I've owned that's qualified for "mediocre". Not judging fellas, most of the vehicles I've owned are "piss poor or mediocre" at best. Just pointing out that as a highway vehicle, even the relatively (compared to previous generations) efficient F-150 is still a terrible choice for a vehicle that has a primary use that isn't towing or hauling and that "SUV hate" is driving people to making that terrible choice when what they actually want (something that can do a mix of hauling, towing, people carrying, grocery schlepping, some offroading, etc.) is something more akin to an older model SUV (but with modern efficiency). Fair enough. There are some exceptional economy vehicles when you look at hybrids and electrics. It's worth noting that fuel cost savings are not linear with increased fuel economy. You save as much fuel going from 19->26 mpg as you do from 26->40 mpg. So someone that is already at the mediocre level has very little to save unless they are driving a ton. For example, switching from a 2015 Honda CR-V (33 mpg hwy, mediocre) to a 2015 Toyota Prius (46 mpg hwy) saves only 0.86 gallons per 100 miles. Unless you're driving 20k+ miles per year the extra fuel costs are minimal compared to insurance + maintenance/repairs + depreciation + taxes/fees/registration. Consider the environmental angle. 33 is only 71% of 46. A 29% reduction in burnt fossil fuels is nothing to scoff at. That is a whole lot less exhaust gas pumped into the atmosphere. Scale this ratio of fuel efficiency world wide. Our fuel supply and rate of climate change would get a decent sized dent put in them in a good way. I don't disagree that prioritizing fuel economy as much as practical is good for the environment. But my point is that the improvements are more significant when you're starting from lower numbers. The percentages don't tell the whole [mathematical] story. Growing up on Hillbilly Mountain, everyone drove trucks because that way you'd be safe going up and down the mountain in any kind of weather. The flatlanders would drive their SUVs and we were constantly having to help pull them out of ditches at the side of the road. Flatlanders need lots of help when they go out into the wilderness. Apparently some folks think AWD/4WD means physics like turning and braking don't apply to them. Yes. A used Honda CRV, for example, can be a very practical car for families. If you need to pile the gang in and their bags for a weekend hike, for example, it's very useful. And yet if you routinely need to travel with more than 5 people, plus their stuff and need to tow more than 5,000 lbs, it is a great vehicle. I love my Expedition EL. I just don't drive it to work. The fuel economy metrics in Canada do a better job of telling the improvement story. Going from 15mpg to 20 mpg is VERY different than going from 30 mpg to 35 mpg. Canada uses Liters/100 km. To avoid metric conversions, consider gallons/100 miles (gp100m). 15 mpg is 6.67 gp100m. 20 mpg is 5 gp100m. A reduction of 1.67 gp100m. The same mpg improvement from 30 to 35 is going from 3.3 gp100m to 2.86 gp100m, or less than .5 gallon improvement. To get the same reduction in gallons over 100 miles, you'd have to go from 30 to 60 mpg. I think this is what RWD was referencing. Are American cars just made really bad? Growing up in the 80s and 90s my mum would send us to stay with farmers in country Australia. The farmers wife drove a datsun sedan. It was an old bomb but perfectly capable of crossing paddocks and carrying large loads with the seats down. They also had a landcruiser but the wife used her car for everything including consignments to the airport. If a scrawny little car like that can off road (I'm guessing it was 70s or early 90s) then surely a modern sedan could too! Sure, as long as you primarily use an SUV for towing more than 5000 lbs with 5 people in the back, knock yourself out. Given that SUV sales in the US in 2017 were 6,973,549 vehicles (http://www.goodcarbadcar.net/2018/01/december-2017-year-end-u-s-suv-sales-rankings-top-107-best-selling-suvs-america-every-suv-ranked/), I'd suspect that this is not the norm though. I think some cars are just better designed for world wide consumption so their suspensions had more movement (articulation), perhaps softer suspensions for rough roads so the car didn't tear itself to pieces, the narrow tires seemed to concentrate their meager weight rather than spread their weight over a wide area and slide. And it was easy to add traction to the rear axle with sand bags b/c the car was so light, 300 lbs of sand was very noticeable in a 2200 lb car. Lots of American cars were like this in the 60s but were becoming better suited to interstate travel by the 70s. See the Ford Falcon or my grandmothers 60s Chevy Nova, or the Corvair for that matter. Over time speed and the ability to go fast became more important. Some imports were still built like that into the 70s and 80s. My 70s and 80s VWs were very capable of coping with bumpy roads/paths. Lots of cheap cars from all the brands that seemed to be built with third world dirt roads in mind aka the American South. I still like these low powered vehicles but they aren't much fun on the 75+ mph modern interstate. Body on frame vehicles are very tough and stand up better to the stress and torsion off road use. And older vehicles had stiffer suspension with more travel than is typical today, and more clearance underneath. Crawl under a newer crossover like a CRV and look at how little clearance there is under the transmission/differential/oil pan. Now do the same for a 70s vehicle. Older cars are essentially trucks with a car style body. Over the years cars have evolved to specialize in highway/city driving: lower, unibody construction, softer suspension, better MPG. All makes perfect sense, much quieter and with better handling for their intended purpose. If you want to take your modern street car on roads designed for high clearance then go for it. But I recommend having a plan for getting out or spending a few days if you get stuck or crack an oil pan. The move to unibody helped improve MPG by reducing vehicle weight. Towing capacity is not simply a function of HP, its also has to do with the suspension and weight of the vehicle. The weight of the tow vehicle is important in controlling the load and the higher the tow capacity the heavier the tow vehicle. It should be noted because it comes up often on these forms: towing capacity is not a conspiracy to sell big vehicles in the US. The reason you see smaller vehicles towing heaver loads in other countries has to do with highway laws and road design. EU and AU have much lower towing speed limits whereas in the US going that slow on a hwy/interstate would create a traffic hazard. The higher speeds in the US mean you need a more capable vehicle to keep the load under control. For everyone's sake, please don't exceed your tow capacity - unlike cracking an oil pan which only really hurts you (and the local environment I suppose) - this puts other people at risk. Oh, and 60s and 70s Nova... MPG of around 10-15. Car body on truck frame. Unless it's necessary for work (towing, cargo capacity, off road work sites), commuting in a truck is foolish. But they are necessary in certain situations and fine if you're only using one for these cases. Actually most trucks have gotten worse in the same regard. Ground clearance and approach angles have generally decreased on modern trucks(with some notable exceptions like the raptor and ram powerwagon). This is for the same reasons, more focus on on-road travel. Anecdotally, on the family ranch my grandfather traded in his 1995 F150 for a 2002? duramax, and within a day or two got it stuck crossing a ditch that we used to cross regularly in the F150. The last major snow storm I experienced in Colorado last year before I moved saw a dozen wrecks on the side of I-25 between Colorado Springs and Denver. All of them were SUVs that had spun off the road and crashed. When people ask me how I survived two years in CO with a Prius I just tell them I didn't drive stupidly. One of those rare occasions where it pays to actually read and pay attention to the owner's manual. It spells it out what your car is or isn't capable of safely performing. Trucks have never really been good at offroad. They're very good at their primary purpose: towing and hauling. Off-road is more of a secondary purpose that they are merely "OK" at. Long wheel bases are great/needed for serious towing, but also terrible for offroad. Trucks and SUVs have their place--towing, hauling big stuff, driving on bad roads or no road, accommodating long-legged or large-sized people, stuff like that. The Durango that floored it past me on the freeway last night upset that I was only going 80 instead of 90 completely ignoring the marque that clearly stated "Accident ahead. Carpool lane closed" (which was why I changed lanes and got out of his way in the first place) nearly adding his car to what was already a 10-car pile up. That SUV had good brakes though. I drive a Mazda CX-5 SUV. Need to be able to tow a trailer I own, AWD as I live in Minnesota, decent gas mileage as I drive almost 18k miles/year, comfortable for my 6'3" frame and I'm a realtor so driving a minivan would just look goofy to clients.